A challenge within a peaceful setting Ledge Meadows is a daily-fee course open to the public 7 days per week, weather permitting. Designed to keep both the novice and pro golfer in mind, the course offers a variety of challenging and less demanding holes to create a well-versed round of golf. 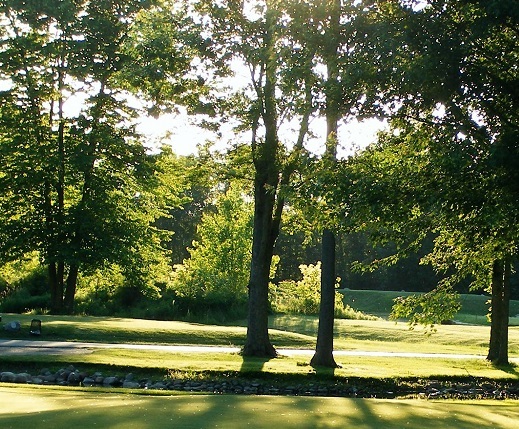 Ledge Meadows was originally built by James Troy as a nine-hole course named “Troy Hills”. James sold the course in 1979 to a Lansing businessman who then changed the name to Ledge Meadows. In 1984, current owners Scott Kelly and Harold Weeks purchased the course. Work began immediately on an eighteen-hole design, but was implemented in three-phases in order to limit disruption to the golfers. On July 19th, 1990, nine new holes were introduced. Work continued on the course and on August 17th, 2001, the course was introduced as it is currently laid today. The Pin Point Practice Facility was implemented in 2003 and continues to be a top-rated facility for precision and distance practicing.